Hi everybody! I've been busy lately and have some great things to share with you! And finally - I've been sorting out my tour schedule for art shows next year and have started updating my 2015 Events Page - check it out here - more events will be added soon! 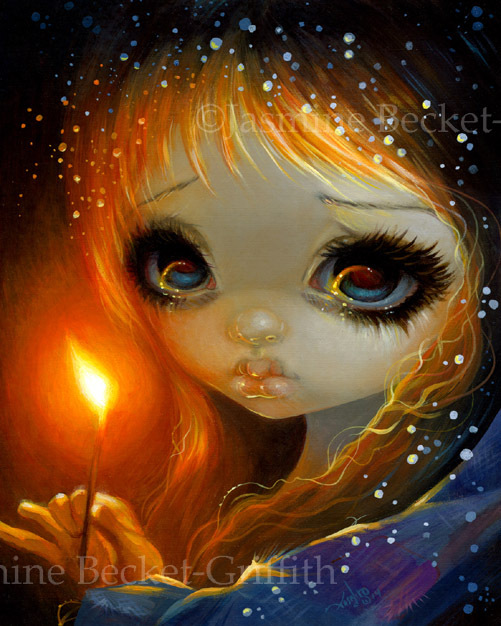 "The Little Match Girl" is an illustration for my Fairytale Oracle deck (with author Lucy Cavendish) due out in 2015. A classic tale by Hans Christian Andersen, one of the saddest children's stories of all time, if you ask me! This poor little thing is on her last match, shortly to die from the cold as the snow swirls around her. There is a message of hope here however, as she reunites with her beloved grandmother in heaven. This is an acrylic painting, I had a wonderful time with the many layers of paint - glazing it with a lot of water to create the beautiful lighting in this piece. The original painting has been sold. 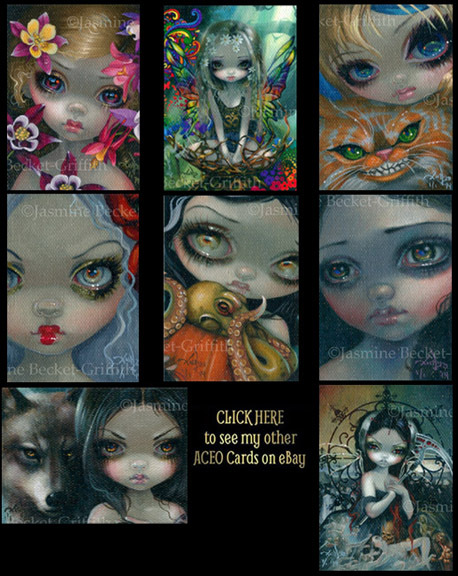 It's time for a new batch of ACEO cards! I only ever make one ACEO card of each painting I do. 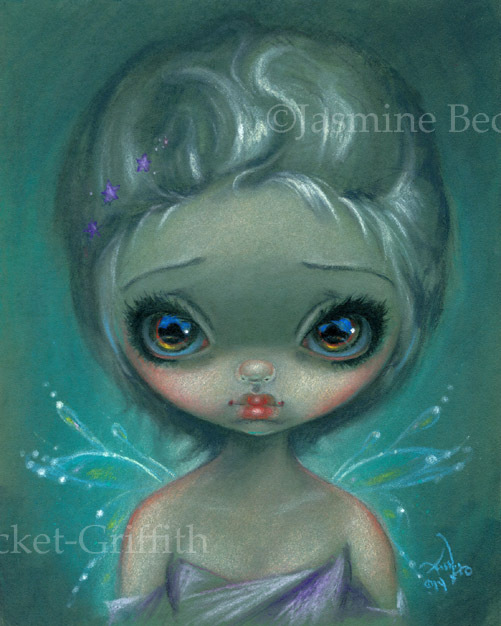 A tiny 2.5x3.5" trading-card-sized canvas print, hand embellished by me in acrylic paints, numbered "#1 of 1" since I only make one! A wonderful way to begin a collection, or to add to a collection once you've run out of wallspace. I put each little canvas up on eBay for an auction starting at just one penny, to give everybody a chance. Click HERE to see them all - bidding ends on Tuesday evening. 2015 is shaping up to be another great year for traveling & art shows! Florida, California, Seattle, Kansas City - and more to come! Be sure to bookmark my Events Page here or feel free to check the Calendar page up atStrangeling.com to keep updated. 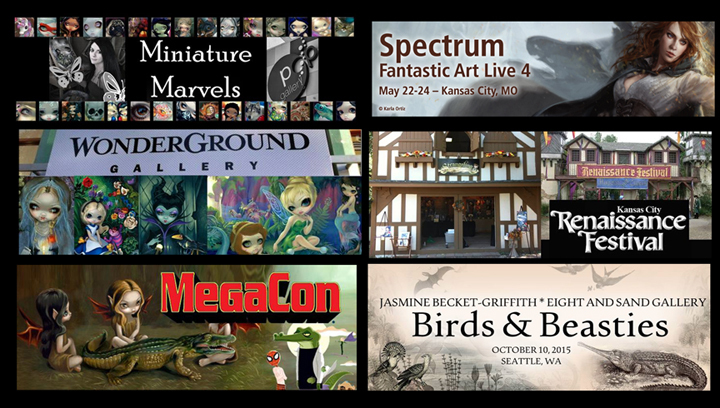 I'll be adding more things like Disney events, Dragon*Con, etc. shortly!